What a fine weblog this is. You write very well and your blog looks good too. I appreciate your critical view on this book for it is becoming a bit of a perfume bible - such is my impression. 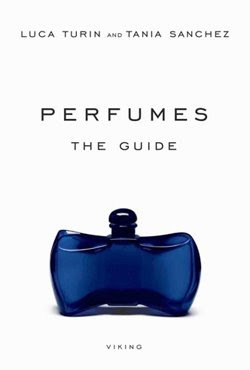 I read it , had some minor laughs,scratched my head in bemusement on many occasions and then put it down and if I were not mixed up in the perfume world of the Interwangle would enver have given it another thought. It seems to be it is early days of perfume critics* and hopefully this book will spawn more books of this ilk from a variety of authors. I would not mind seeing the likes of Octavian Coiffan published in English and so many out in the blogistanian who are capable ( our own Redolent chap perhaps?. I enjoyed reading the book. And as usual I think we have to compare with our own view. At least they have the guts to give clear ratings, even 1 star! If we would have more noses who give us such ratings statistics would give us a clear picture. So please, more of such ratings!